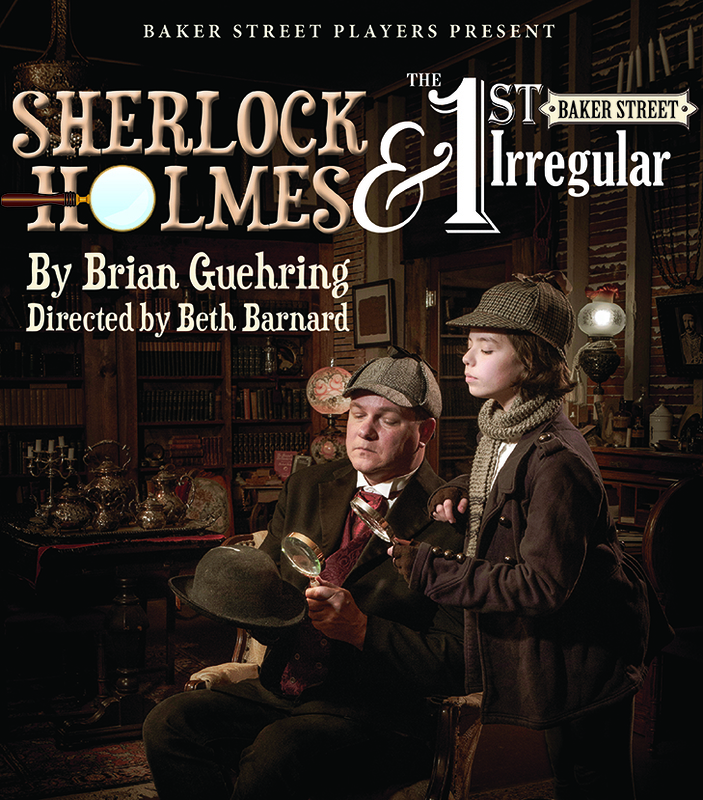 Full-length Sherlockian plays, Dinner Mystery Theatre, and a variety of Afternoon Tea events are performed throughout the year at Baker Street West. FOR TICKETS, click on the BUY TICKETS NOW button at left (Using a phone? Scroll down or call Mrs. Hudson at 209.223.2215). 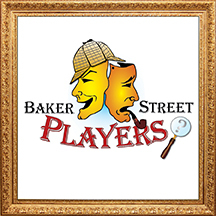 For news about upcoming performances, visit and “Like” Baker Street Players on Facebook. To be included in a mailing list that announces all events at Baker Street West, do contact Mrs. Hudson at info@bakerstreetwest.com. Our Baker Street Players have been exercising their dramatic chops to mystify and tantalize even the most seasoned detective. The plots, entwined to a most baffling perfection, are brought to you by Artistic Director and Writer, Beth Barnard, accomplished in weaving webs of mystery for over 20 years. The dinners for the Mystery Theatre are brought to you by the Master Chefs of The National Hotel. You watch the drama, you eat the English fare, you observe and listen for clues, you are the detective! Join the usual suspects — Mr. Sherlock Holmes and Dr. John Watson — as they solve cases originally broadcast through the air waves. You are the audience in our live-radio studio at Baker Street West (including live sound effects), and broadcast live on KVGC Radio! You hear, you observe, and you untangle the case along with our dynamic mystery solvers, Mr. Holmes and Dr. Watson. Looking for a cozy tea? Well, it is not here. Our Afternoon Tea Mysteries are far from being threatening (we hope!) but this not your ordinary teatime of red hats and extended pinkies, discussing the posies in the garden. In fact, it is very possible there is a body buried in the garden . . . under the posies. Guests at the Tea come in character. The characters mingle. The perpetrator is unearthed. And the stellar sleuth is applauded! 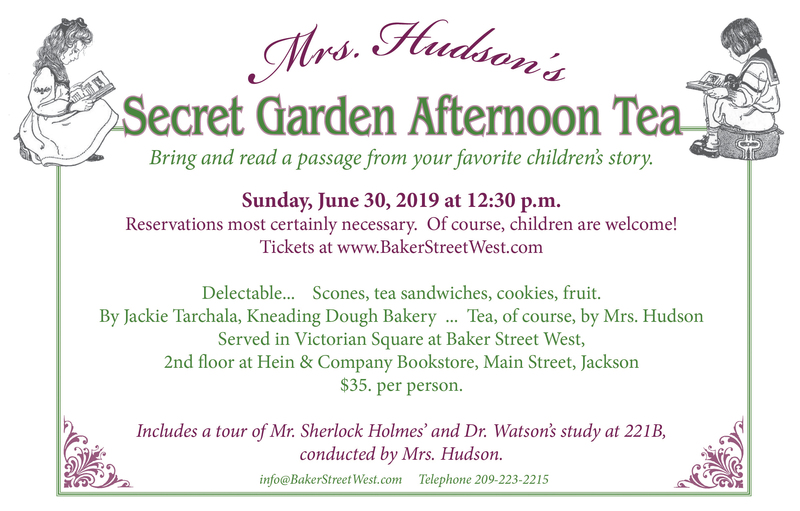 Mrs. Hudson provides the Mystery; Jackie Tarchala of Kneading Dough Bakery provides the afternoon tea; and the stellar venue at Baker Street West provides the backdrop. To book a private Afternoon Tea Mystery at your pleasure, do contact Mrs. Hudson at info@bakerstreetwest.com. 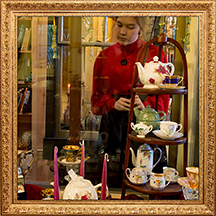 Click here to view a delightful moving picture documentary of a recent Afternoon Tea Mystery. Not an ordinary Afternoon Tea. Our Dramatic Teas provide a diversion to drift upon the sea of storytelling. While being served a plate filled with scones, sandwiches, salad, fruit, and dessert, you will be beguiled – entranced, perhaps – by a character conjured from the pages of old. These inspiring dramas leave time for interaction, but do close your eyes and let your mind wander down this path of enchantment. Delectable… Scones, tea sandwiches, cookies, fruit, served in Victorian Square at Baker Street West. 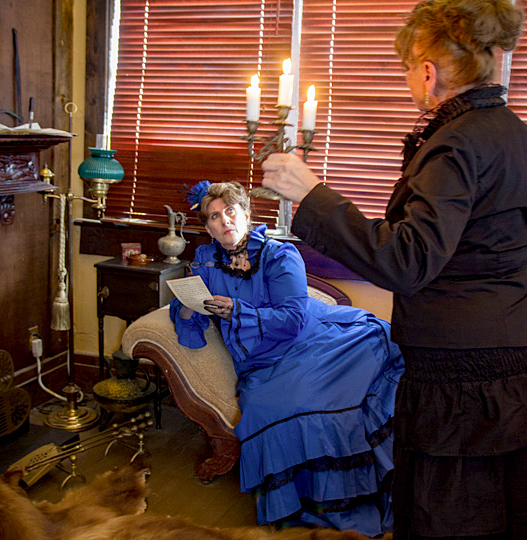 Includes a tour of Mr. Sherlock Holmes’ and Dr. Watson’s study at 221B, conducted by Mrs. Hudson. Reservations most certainly necessary! 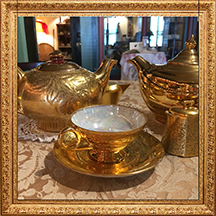 A Gilded Tea in 221B! For a birthday, 50th Anniversary, retirement and other special celebrations… Just imagine…golden sunlight glows off pure gold china tea service in 221B, with upper-crust delicacies by our bespoke baker, Jackie Tarshala, and cameo appearances by characters from the tales of Sherlock Holmes delighting discerning history buffs and Sherlockians! It is a private affair; an exclusive High Tea, Afternoon Tea (or Elevenses anyone?) for up to 10 guests by special arrangement with Mrs. Hudson. Please telephone or message her at 209.223.2215 or info@BakerStreetWest.com. Wonder what it would be like to view The Great Detective’s flat, 221B Baker Street, from the eyes of a character in one of the stories? Your opportunity is here at Baker Street West. On select holiday weekends, docents give tours, 10 am – 4 pm, from their unique perspective. For a private tour by special arrangement, contact Mrs. Hudson at info@bakerstreetwest.com. Sherlockian plays are Baker Street Players’ speciality. We present to you Sherlock Holmes and his comrade in crime, Dr. John Watson, three to four times a year. 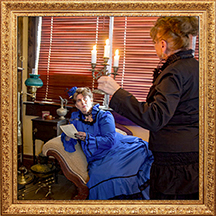 Their extraordinary cases are framed by an authentic Victorian Village as a backdrop to Conan Doyle’s Holmesian stories. Nominated for regional awards, Baker Street Players, an ensemble with brilliant performers and crew, is dedicated to the craft of theatrical drama.